The Club is located in Wolfeboro Bay, a perfect home port for some of the best sailing on the lake. If you own island property, the Club is a perfect home port from which to launch. The Club offers many features to its members and we continue to make improvements in the grounds, Clubhouse, docks and other facilities. As for financial matters, the cost of member boat services, moorings, and dockage is far less than you will find at other locations on the lake. The cost of obtaining a membership share can be paid in full or using an installment plan. The Wolfeboro Corinthian Yacht Club members are welcoming, friendly, funny, and easy-going people. (The lake has that effect on people.) We have members that have been with the club for decades and families with young children who are making new memories. 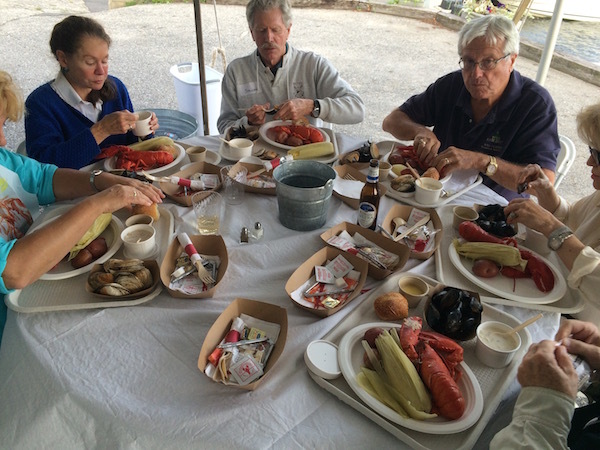 Some members live locally and many come from all over New England and the northeast. We have avid sailors, cruising pontooners, and energetic power boaters. Everyone is welcome! Lastly, there is the benefit of private summer parking. If you have ever tried to park in downtown Wolfeboro in the summer, you know how difficult that can be. When your not out on the lake boating or enjoying a cool refreshing drink on the Clubhouse deck you can use the exclusive, membership, private parking at the WCYC. 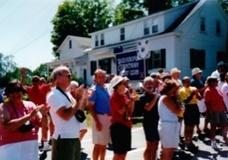 We have a prime location for the famous Wolfeboro 4th of July parade too! * WCYC shares are redeemable when you leave the club. Certain restrictions apply. For details contact the membership chair.